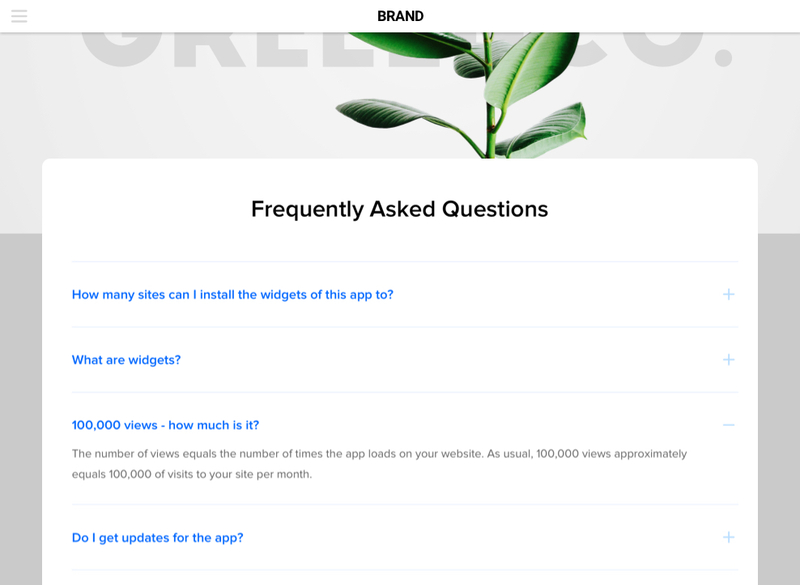 Anticipate questions of your clients with the help of FAQ widget by Elfsight. Study a comprehensive manual on installing and handling the widget on your website. BONUS: Create your personal FAQ now! Allow your visitors to know more about your goods or services. The higher product trust is, the more your conversion grows. 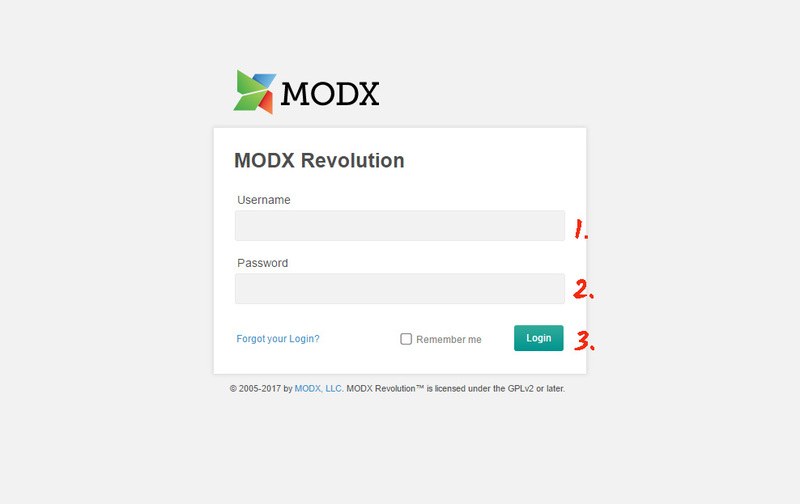 More info about the widget can be viewed on the basic page of FAQ at ModX. Click demo and start shaping your widget. After you have designed the necessary configurations, press «Join to Install» button. We can propose a wide choice of plans: from free to developer’s versions. 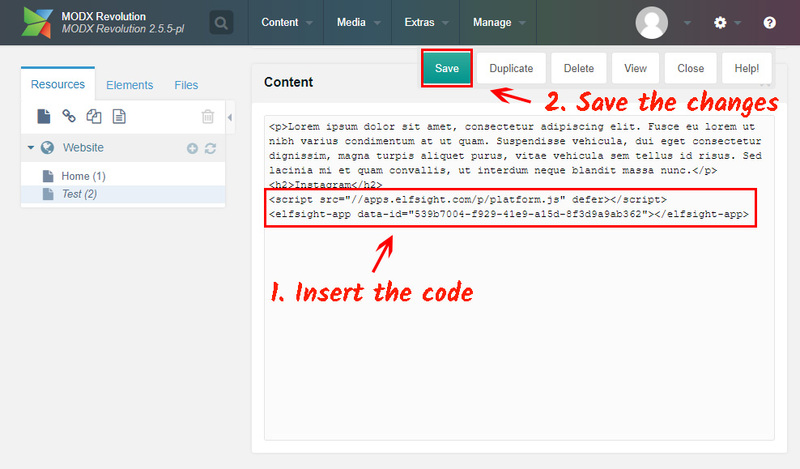 Get a script, which will be shown in the popup, to paste it to your website. Go to the administration panel of the site. Choose the page for the plugin. Insert the widget code and save all changes. The widget is now installed! Go to your ModX page to check you new FAQ. After you have integrated the FAQ widget, you may need to alter several settings or edit text. Authorize to your account at Elfsight Apps, find the active widget and perform the necessary changes. They will be automatically introduced to your widget on the web resource. 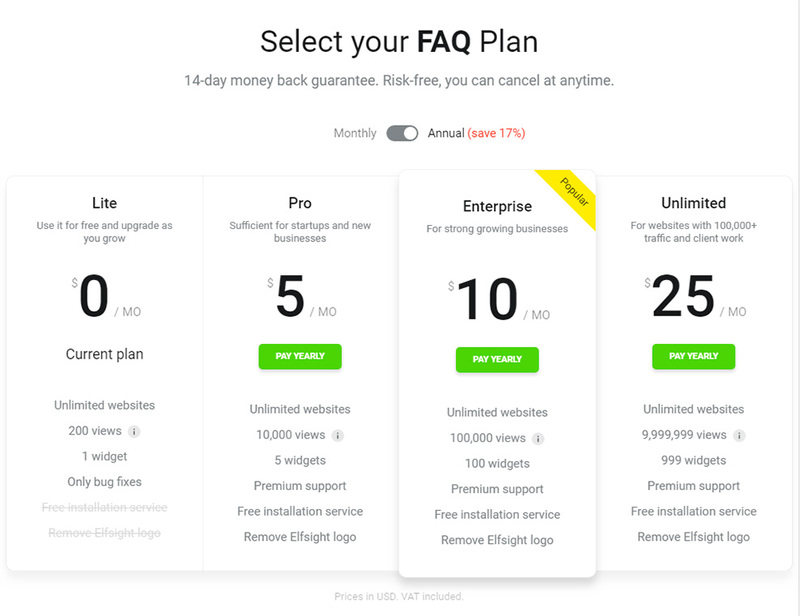 Cloud service for immediate access to widgets for websites using which you will be able to improve your site on your own, in a fast and efficient, without knowledge in web developing or support from professional developers. Create your own FAQ for free! Free editor for immediate shaping of plugins.